Cheapeats was lucky enough to sample these before the launch. It was love at first bite. These meatballs were so moist and tender, now I know who has the missing recipe to my Grandfather’s meatballs. Donatella & Fresh!! 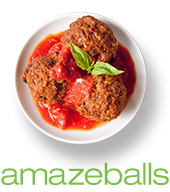 They really are #amazeballs. 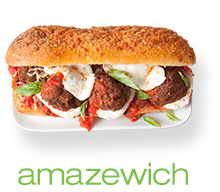 Donatella’s mouthwatering meatball trifecta will be available at all fresh&co locations indefinitely. 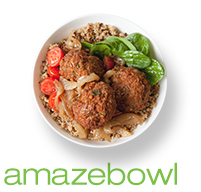 For a ten-week period post-launch, a portion of all meatball proceeds will be donated to fresh&co’s longtime charitable partners, City Harvest and Friends of Karen. Giving never tasted so good! This entry was posted by Rosemarie on Friday, May 1st, 2015 at 6:39 am	and is filed under American/Comfort, Italian, Manhattan. You can follow any responses to this entry through the RSS 2.0 feed. You can leave a response, or trackback from your own site.